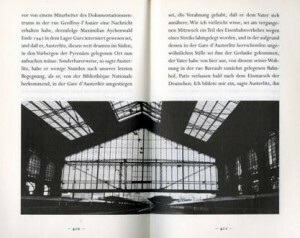 Oehlrich looked to the photographs in W.G. Sebald’s novel Austerlitz. Published in 2001, Austerlitz is a memoir narrated by a man who can’t (or won’t) remember his own past. It seems to be a book about trauma, memory, and the imprints of technology on life. After hearing it described I absolutely must read it. The photographs illustrating Austerlitz are haunting. The novel is filled with images of vast industrial sites, all empty, except for one brief moment when our protagonist photographs his own reflection in a window pane. Oehlrich sees these photographs as containers for the sublime. She describes how the novel’s protagonist frequently feels overwhelmed in these spaces, as if he is subsumed into a void both dreadful and alluring. If the photographs in Austerlitz contain the sublime the images in punk zine Re/Search deploy it. Re/Search‘s imagery is direct, confrontational, and often abject. Degrading photocopies of X-rays, cartoons, and tattoos make the human body ever-present through its pages. Bodies are mashed-up with technology or cut-up in close-up, only to be laid out to mimic something official, like a scientific medical journal or a field guide. Trotman looks to Re/Search during its formative years (1980-84) in San Francisco. The zine’s founder V.Vale founded Re/Search as punk branched toward new wave and noise music. Despite having roots in a music scene Re/Search featured transgressions happening mostly outside of music. 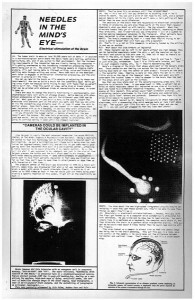 It covered spheres like performance art, conspiracy theory, avant-literature, and pranks – and is still in print today. I caught up with Nat after his presentation to hear more about Re/Search, the culture surrounding the zine, and where he locates the Industrial-Sublime. Thanks so much to Nat for sharing his thoughts on our blog!!! MS: Re/Search features performance throughout its pages. Performance as both an art practice and as a practice of the everyday. Why do you think Re/Search is interested in performance in particular? NT: Well, I’ll start by referencing a CAA panel I wasn’t actually part of, called Surrealism and Counterculture, which took place yesterday. None of the speakers there talked about Re/Search in particular, but all the papers concentrated on the Surrealist legacy of radical performance as a form of social critique. 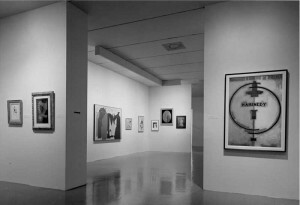 When Surrealism is thought of as mere paintings on a wall, it gets neutered in a way—for example, one paper [by Sandra Zalman] described how the 1968 Surrealist exhibition at MoMA was met with protests because it wasn’t on the streets enough, but inside the white box, separated from daily culture. The Surrealist and Dada outlook on life, on lived experience, was very performative—the idea behind most of their art was to make gestures, through exhibition design, texts and publication, or individual objects, that would disrupt everyday life and create abrupt change. Another paper on the Surrealism panel [by Marie Arleth Skov] touched on how these ideas played into punk zines – and certainly the people involved with Re/Search, who were all punks, were very aware of that history. They wanted to set aside–or at least not talk directly about–music, and get back to that stronger Surrealist-Dada tradition. Re/Search was about trying to continue the project of the historical avant-garde in early 1980s San Francisco, in the face of the “failure of punk,” the assimilation of that movement into the mainstream and the rising feeling of its impossibility. They still wanted to find a viable time and place to try and do that, but not through the conventions of punk music. 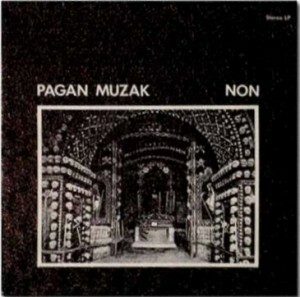 A lot of people were already critiquing punk as it transitioned into new wave, and Noise Music and Industrial music tried to break through that. MS: So I’m thinking now as you mention Industrial music, about the title of the panel Industrial Sublime. Where do you place the industrial and the sublime in context of Re/Search? NT: (laughing) Because I never addressed it in the talk! MS: But you hint at it for sure! NT: This is where my curatorial outlook comes in a little bit. I mean, the majority of my writing is catalogue essays that analyze artworks as objects or things – then take larger philosophical ideas and bring those to bear on the object. I say all that because, with this paper, while I was interested in hinting at the idea of the sublime, I didn’t ever mention it specifically because Re/Search doesn’t ever mention it specifically. But Re/Search is all about creating confrontations – with death, destruction, and the void, with the loss of self and these visceral moments of repulsion and attraction to something that is much bigger than yourself – all qualities of the classically defined sublime. MS: When you discussed the moments of pleasure and pain as presented in the zines images, as in the bodily modification and sexual technology, that is where in your presentation the connection to the sublime could be made. NT: I would like to do more work on that, [especially regarding] queer culture in San Francisco. I worked several years ago with my colleague Jennifer Blessing on Catherine Opie’s retrospective at the Guggenheim. Though she is originally from Ohio, she went to school in San Francisco and her early portraits of body modification related very closely to the queer scene there. That was the early 90s so it was a little bit after the zine format issues of Re/Search came out—though its “Modern Primitives” book came out in 1989—and I would like to learn more about its connections to the community Opie was part of. MS: What led you to study Re/Search? NT: Well it’s sort of a personal project. I’ve known about Re/Search the magazine for twenty years or so – it was very important to me as a teenager. MS: Oh, are you from San Francisco? NT: No, I’m from North Carolina. Even though [as a teenager] I didn’t actually see the early issues of Re/Search that I discussed in this talk, I did have access to the later book-format issues, like “Industrial Culture Handbook” and “Modern Primitives” and “Angry Women” –those I was aware of when I was 16 or 17. I got to thinking about how Re/Search came out of its local scene but took part in a chain of influence and distribution that enabled me, in rural North Carolina, to find out about it. There’s a tension in subcultures between very local communities and the networks that connect them – zines foster local scenes but also create modes of distribution that inevitably dissipate the subcultures. 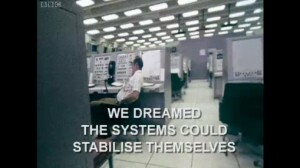 The gestures of disruption Re/Search oriented itself around relied on these networks—you can only change the mainstream by using its systems from within—but those same networks quickly consumed the zine’s radicality and spit it back out in the form of, say, a Nine Inch Nails video. What I find so fascinating about Re/Search is that its editors were highly aware of this process, continually referencing the systems of media assimilation even as they engaged in them. MS: And there was that question posed to you at the end of your presentation – about how after the internet zines ultimately transition to become blogs. So in essence the internet makes these entirely new locales. NT: Yes, that transformation is really interesting to me. Zines and alternative publishing have a long history, including Surrealist journals, 60s counter-cultural zines, and independent political newspapers – and a lot of that fed into punk zines. We also should keep in mind that zines like Re/Search are very different from the 90s publications we more commonly think of as zines. Re/Search may have been run out of the publisher’s apartment, but it was staffed and edited, and much more institutional than, for example, riot grrl zines typically would be. Those zines might be one person, or a few people, making something really small and personal, that was circulated to subscribers by mail. At any rate, I don’t think it is a coincidence that these zine cultures achieved such a prominence right as the internet went public. 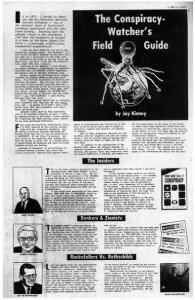 Newsgroups, listservs, websites, blogs, and ultimately social media are all unique formats but I do think they come out of the same trajectory as zines – the desire to create community and to situate individual voices within it. I think small publications like Re/Search foreshadow the desire for the internet. MS: And you pointed out that Re/Search, coming out of San Francisco, was surrounded by some of the same impulses that led to the formation of the internet, or the era of start-ups. NT: That would definitely be another chapter of this research. I think you’d definitely have to look at hacker culture, which was big in San Francisco. The internet itself was created throughout the 1960s, as a long process in universities and in the military that ultimately led to the internet. So it’s not that Re/Search was being created in San Francisco in exactly the same moment, but that the culture, San Francisco’s unique mix of individualism and radicalism, was part of why the first web boom businesses wanted to be there. 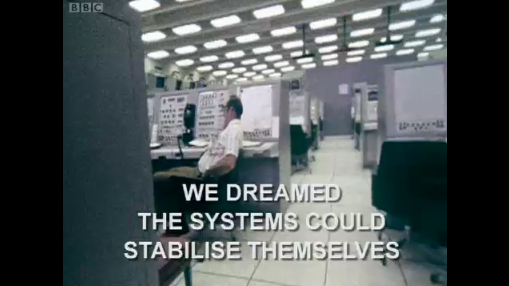 There’s a great documentary series by Adam Curtis called All Watched Over by Machines of Loving Grace that explores these tensions, including the utopian ideals of social change that surrounded the creation of the internet. MS: If you were to curate a show about Re/Search what would it look like? NT: Well, it’s hard to do a show about zines. You can put them in vitrines because they are great documents, but it’s tricky to allow for the public to engage in something that is meant to be read and leafed through. I would love to extend my project into something that was an exhibition of some kind. I think it would need to include artworks and music made in the San Francisco scene by people like Boyd Rice and Johanna Went. Survival Research Laboratories are still active and do exhibit their crazy machines. It could also include other artists beyond the local scene, like Throbbing Gristle – they were hugely important to the San Francisco community and made art under the name COUM Transmissions. #3 even included an interview with Christian Marclay’s early musical group The Bachelors, Even. The best way to bring the zine to life would be to place it in the context of all that. MS: And finally, any favorite panels or moments from CAA? NT: Honestly it’s just nice to be around thinking. As I mentioned, the Surrealism and Counterculture session was great. I also saw a good paper on Robert Smithson and science fiction. I’m sure I haven’t seen enough–there’s always 4 or 5 or 6 things you want to see going on at any one time. It’s overwhelming, but it’s also exciting. 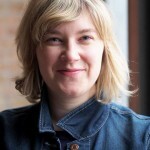 Nat Trotman first joined the curatorial staff of the Guggenheim Museum in 2001 as curatorial assistant for the exhibition Matthew Barney: The Cremaster Cycle. In the years since he has curated numerous exhibitions for the museum, including James Turrell (cocurated with Carmen Giménez) in New York, Pawel Althamer: Almech in Berlin, Found in Translation in New York and Berlin, Haunted: Contemporary Photography/Video/Performance (cocurated with Jennifer Blessing) in New York and Bilbao, and a pair of yearlong presentations of installation art in Bilbao. He has developed performative and site-specific projects for the Guggenheim rotunda in collaboration with artists such as Sharon Hayes, Meredith Monk, Susan Philipsz, Tino Sehgal, James Turrell, and Francesco Vezzoli. He also works with Jennifer Blessing in developing the Guggenheim’s collection of photography, video, and film, and is closely involved in the museum’s performance programming. 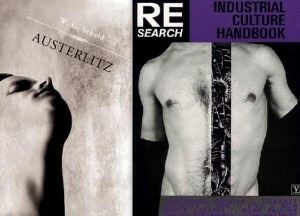 Re/Search still operates as Re/Search Publications and copies of the classic issues can be purchased via their website.